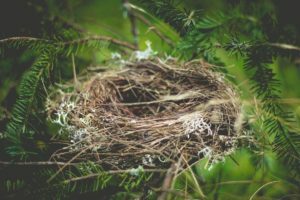 Are all the birds leaving your nest? Most businesspeople would agree that it’s not good when the best employees leave. Maybe it’s not 100% avoidable, but it seems that some of the best, longstanding businesses are able to keep their best people. They’re able to have employees that stay with the company really for their entire adult working life. I used to work for a company that was very good at this. It seemed like so many people had worked there right out of college and were plenty happy staying until the day they retired. It was really something pretty cool to watch and you have to believe that it’s at least a big part of the success. But it’s not easy to retain the best employees, but the more we understand why the best employees leave the more we can adapt our companies to be places that attract instead of repel the best of the best. Money is a motivator in people’s lives, but deep down people want more than money. They want their work to mean something. They have different motivations in their lives like achieving a goal or creating a life that they’ve always envisioned. If you don’t know what motivates your employees, what makes them get out of bed in the morning then you might struggle to keep them on board. You could get lucky and have the alignment just happen, but that’s risky. Instead, talk to your employees about life. Ask them their goals and aspirations. See what really motivates them. Most people don’t say that they want to make a lot of money. That might be part of it, but people generally want to make a difference in the world in some way. Find out where the motivation is and look for ways to put that person in a position that benefits them and the company. Nothing makes someone quite as frustrated as if they feel like they’re being held back. We’re in the heat of the NFL season and many players feel like the coaches are holding them back at this point. The coach won’t play them even though the player ahead of them on the depth chart is struggling. Maybe the coach is calling plays that don’t put the player in the best position to succeed. This happens in the workplace all the time. The tricky part is that it’s hard, as the manager, to know if it’s going on. The employees, being the good employees they are, sit back and do what they’re told. They don’t always express dissatisfaction, but that’s exactly what they feel. Build mechanisms into your relationship with them as a manager to ask questions about what they see their potential as. Look for ways to allow your employees to grow. Many times a person leaves just because they feel that they’ve reached a ceiling in the company even if that’s not the case. Sometimes employees leave an organization simply because they don’t know what the company is trying to achieve. Or maybe the company has a vision, but it seems hypocritical because there are no real plans or efforts being made to achieve that vision. For example, a company can’t say that they’re shooting for 20% growth this year and then cut back in investment in sales and marketing. It doesn’t make sense. Set a clear vision for what you want the company to look like. Those that believe in the vision will stay and work to see it through. In a similar vein to the last point is the idea of core values and purpose. This really begins in the hiring process. Well, it actually begins with doing some internal discovery and figuring out what the core values of your company are. What would you do even if it wasn’t the most popular thing to do? That’s how you find your core values and core purpose. And when you know that you can share those with new hires. Not everyone will buy in, but that’s okay. They don’t come to work for you, but the ones that do buy in and come work for you will likely be very loyal and you won’t have a big issue with people leaving…unless you start to stray from the core values. For example, you can’t have a core value of innovation and then cut back on the R&D budget. This one seems to be happening more and more. We’re very connected to information and really with people around the world. But we’re also as busy as ever and it’s not really a good busy even though we trick ourselves into thinking that it is. When management is busy, it puts stress on the employees. They feel like there is no communication, attention and understanding. When people feel like their boss is unavailable or that their boss doesn’t understand them or even communicate with them in any way then they start looking for different opportunities. See the value in making time to listen to your employees. It may seem like you don’t have time for it, but you really can’t afford to lose communication with anyone no matter how independent you think they are. We kind of talked about this one when we looked at potential. I’m looking at this one as different and still important. Many organizations are setup so that there really are only so many positions at the top. For example, you can really only have one CEO. You can really only have one CMO. Things like that. It seems that successful companies still find ways to offer growth and upward mobility to the best employees even if they can’t ascend to the highest positions in the company. Maybe the company looks for new business opportunities and puts a top worker in charge of the new operation. That way instead of losing the person when they go to run a different company, the person can stay and run a new arm of the company they’re already with. Look for ways to allow people to continue to move up in the company even if it’s not in the traditional sense. This could be financial reward. Obviously most of us like money and we want to feel rewarded for a job well done. It’s always interesting to watch the NFL and how players want money, but mostly they want to feel rewarded for doing a good job. The best organizations seem to be able to reward their best players. They make sure that the best players are happy and earning enough. But this doesn’t have to always be just salary. Companies have long used profit sharing to give employees at every level a piece of the success when the company does well. Other companies even have award systems for making sure that employees are recognized for a job well done. Even something simple like buying lunch or having a party for the team can boost morale and make employees feel valued. We kind of looked at this one briefly earlier with core values. Sometimes a person is just not a good fit for the culture you’re trying to build. Again, this goes back to the hiring process. You have to understand your culture and the type of person that fits well with your company. If you hire the wrong people, even if they’re talented, chances are high that they’ll leave at some point. People like to be challenged. Nobody likes doing the same thing over and over. That can work for awhile, but after some time we need a challenge to keeps us motivated and striving to improve. That’s the big thing: improvement. The best companies seem to give their employees challenges and a path for personal growth. Maybe it’s educational where the employee can learn more about their current position. Maybe they can learn about other positions in the company. Or maybe they can be put on a new project. Finally, nobody likes feeling like they’re being constrained. The core value of the US was that all people are free. The reason that was appealing is that every person is born feeling like they control their own life. The moment you lose that freedom is when things start to feel stressful and you look for that freedom. If you control your employees too much, especially your best employees, they’ll rebel and look for ways to get their freedom back…even if that means looking for new employment. It’s no good when employees leave, but you can view it as an opportunity to improve your company. It might start with some internal investigation to look at your core values and purpose. When you understand yourself you can better communicate the vision of the company. That allows you to hire people that buy-in to the vision. And from there you can also put in mechanisms so that your employees are challenged and motivated to succeed within your company. Do that and you’ll be in a position to keep your best employees for a really long time.